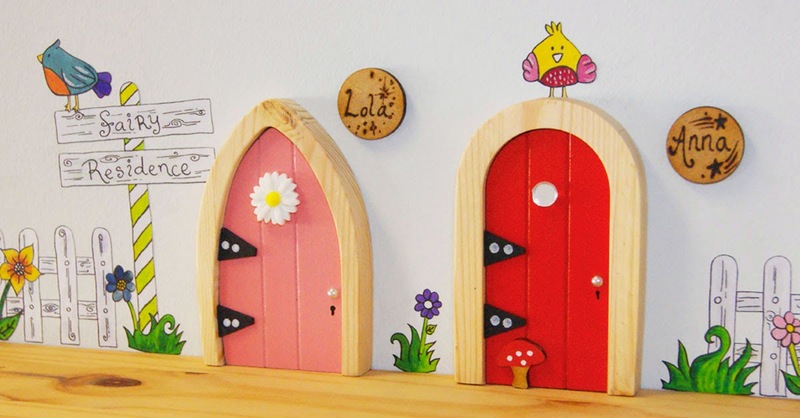 Following the news that Wayford Woods in Somerset is to begin removing some fairy doors from its grounds, The Irish Fairy Door Company has brought forward its expansion into the UK in order to prevent a rapid rise in fairy homelessness. The company has already housed more than 150,000 fairies worldwide since its inception just 18 months ago and is now coming to UK shores to ensure no fairies are left out in the cold. Created by life-long friends Niamh Sherwin Barry and Aoife Lawler, along with their husbands Oisin and Gavin, The Irish Fairy Door Company helps fairies relocate into homes, classrooms, gardens and woods by creating beautiful, high quality, handmade Irish fairy doors which can be installed almost anywhere. Once in place, the creative team at Fairy HQ ensures direct access to Fairy Valley so the magic continues long after the fairy has moved in, with ongoing magical messages, play ideas and stories delivered to children and parents who register their fairy, via Magical Matters on the website. Niamh Sherwin Barry continues, “We have already housed a number of fairies in the UK, mainly within the family home, but we’re aware that many in the fairy community favour the great outdoors. These woodland fairies prefer a home amongst the trees.